London is one of the most cosmopolitan cities in the world boasting an abundance of different cultures from all corners of the globe. The sheer scale of the city, together with the vast conglomeration of nationalities may seem rather overwhelming for first-time visitors. Once the initial shock has subsided, it soon becomes evident for most, that London, despite its seemingly chaotic cultural mishmash is a rather urbane city which vividly exhibits the societal mores and conventions of hundreds of different countries. With regards to far-east countries, Japan has the most established community in London. The 2001 census put the Japanese population at around 37,000. Today, it’s reasonable to assume that this figure is well over 40,000. As a result, its culture has become firmly rooted in the British psyche with Japanese food, art, technology, entertainment and spirituality becoming extremely popular. In London there are numerous events and places to visit for those looking to immerse themselves in the conventions and customs of this fascinating country. And thanks to a burgeoning number of online resources, this task has been made considerably easier. Here’s a guide to some of the most informative Japanese websites. This is one of the major purveyors of Japanese culture. Set up in 1972 by the Japanese Ministry of Foreign Affairs, the Japan Foundation provides financial support to a variety of programmes in the fields of Japanese language, arts and education. It takes very seriously the seamless integration of Japanese values with Western sensibilities and emphasises the ‘international cultural exchange between Japan and the rest of the world’. The Japan Foundation website offers a treasure-trove of information about the various events taking place in London and the UK. It’s evident that the site is aimed both at Japanese ex-pats as well as Westerners. 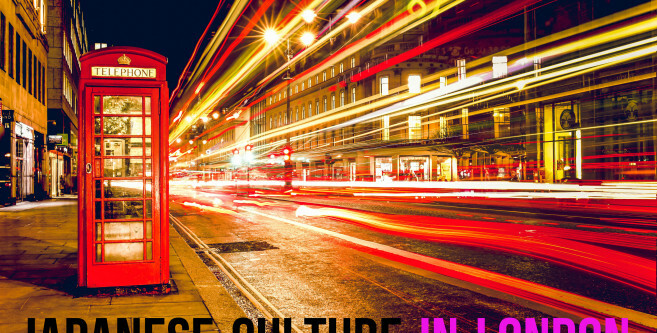 JapaneseLondon.com is a prime example of how popular Japanese culture has become in the UK’s capital. 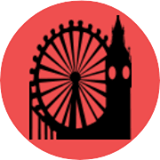 Run by Vanessa Villalobos, who became entranced by Japan while teaching there, the site offers an extensive guide to a massive range of events and happenings taking place in London, throughout the year. These are organised according to calendar dates which really serves to illustrate just how many Japanese-related events take place each day in London. The site is laid out beautifully and features additional information about Japanese art galleries, museums, karaoke bars and shops. Also included is a section on Japanese food which provides reviews of Japanese restaurants, as well as Japanese cooking classes. Hyper Japan is the biggest annual convention in London which runs on the last weekend of July and celebrates J-culture in all its glory. Its website is a rather colourful affair, which seems to be in keeping with Japanese popular culture, and features articles about the latest trends in fashion, entertainment and culture. There are also guides to Japanese restaurants and takeaways. In addition, there’s plenty of information included about the culinary skills required to produce Japanese cuisine with details of sushi workshops and demonstrations which take place around the capital. The ‘What’s on’ guide is particularly exhaustive! As already mentioned, Hyper Japan is one of, if not the most popular annual events. It’s usually held during the waning summer months although there’s also a sister event which is held in November featuring a Christmas market (as is the case this year). The July version celebrates Japanese food, with various stalls and restaurants serving sushi and other delicacies. Video games and anime are main-stays at the event and prove extremely popular, year after year. The Christmas market, which this year is held from November 27th to the 29th at Tobacco Dock, focuses on festive shopping and features a wide selection of authentic Japanese food. It also plays host to the prestigious Sushi Awards and allows visitors to sample some of the beautifully crafted sushi dishes prepared by top London chefs. Anime is one of Japan’s most successful exports so it’s not surprising that the London Anime conference is among the most popular Japanese events in London. It’s held during February and includes a wide variety of anime gaming activities. The word ‘celebration’ is clearly taken seriously by organisers and as a result there are numerous parties and late-night events run throughout the conference. For those less keen on dancing the night away, karaoke bars and the like offer a more sedate alternative. Manga fans will also be pleased by the collection of newly released movies that are often shown at the event. In addition, there are guests of honour ranging from famous anime voice actors to leading Japanese artists. Japan Matsuri is another major festival which is held in Trafalgar Square during September. Like Hyper Japan, it features a huge variety of activities and events. Some of the most notable ones include martial arts stage performances, traditional drum dancers as well as the ever-popular Manga exhibitions. Japanese arts and crafts such as origami and water ball games are also celebrated with various demonstrations. As one would expect, Japanese food is also widely available with numerous stalls and restaurants serving up a variety of traditional cuisine. The idea behind Japan Matsuri is clearly to take in all aspects of Japanese food and culture so that all tastes are satisfied. Given the popularity of the event, it seems that the organisers have been rather successful in this regard. These events as well as the countless resources available online, truly illustrate the influence Japanese food and culture has had on western society, particularly in London. For Japanese ex-pats and those who have an interest in the heritage and customs of one of the far-east’s most enduring countries, London is definitely the place to come. This article was posted in Japanese Culture. Bookmark the permalink.